High Tech Computer(HTC) will be releasing at least a couple more Android smartphones later this year in addition to the Magic. HTC is expected to launch its second Android-powered handset, codenamed Sapphire in may 2009. The new models will involve a BlackBerry-like model with a QWERTY keyboard to go along with the operating system. HTC has done really well to keep the entire thing under wraps, but we do hope that these new models will be able to offer more of a challenge to the iPhone, considering how the Pre will be out later this summer as well as the iPhone's 3.0 update. Earlier market rumors was that HTC's second Android-based phone will come out in March or April. Sources also says, In addition to continuing to cooperate with T-Mobile, HTC will also team up with Vodafone to jointly promote sales of the Sapphire handset. 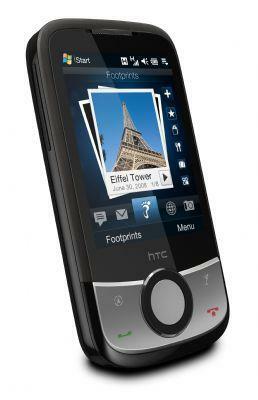 In 2009, HTC will introduce more Android-based handsets for other telecom service providers worldwide. Meanwhile, HTC continues to push sales of its smartphones by releasing, on January 22, its latest GPS-enabled handset, the new HTC Touch Cruise. marketing and mobile advertising media, they provide api, video banners, 2d and 3d barcodes.